When we start a new year we feel how our hopes and dreams change completely and we even feel motivated once again to accomplish all of the things we want so much. This special date is meant to be share next to the people we love most in this world and that is why we have prepared some sample letters you can send to the love of your life and start the New Year in a very romantic way. Choose the text you like most, make it yours and send it! Happy New Year, my beautiful princess! You cannot imagine how exited I am and all the happiness I feel because this year we are going to welcome New Year’s Eve together. Since I met you, my life has changed completely and that is why I want to be with you, not only on special occasions, but every single day of the year, so we can live precious moments together. I want to thank you because this year has been amazing, we have lived unforgettable moments, we have experienced great adventures and we have tried our best to accomplish our biggest dreams. This has been the best year of my life, and it is all thanks to your love. I hope that this year that is about to begin brings us even more happy moments and gives us many more opportunities for us to show that we are made for each other and that our love will last forever. My love for you is greater than it ever was and I have no doubt that it will continue to grow as time goes by, so I can tell you that I will love you for all my life. From the bottom of my heart I want to wish happiness, success, health and prosperity for the New Year that is about to begin. I felt an enormous desire to express my deepest feelings to you, so I wrote you this letter with all my love for us to welcome New Year’s Eve the best possible way, celebrating the wonderful love that holds us together. The year that is coming to an end has really been wonderful and I can safely say that it has been the most beautiful and happy of all my life and it is all thanks to you, the most beautiful, tender, smart and funny girl who exists on the face of this planet. We have 365 days before us, every one of which represents a great opportunity to be happy and to share the great love that has united us. I hope this year brings happiness and I promise you that I will try my best, that I will make something nice for you every day and that I will never stop looking for new ways to tell you how much I love you. My heart is entirely yours, as well as my soul and my life. I want to wish a happy New Year and I hope that you achieve all of the goals you have in life and that your dreams come true because I know you have everything you need to succeed in life. I love you and I will love you forever. Happy New Year, my love! I would have loved to welcome New Year’s Eve by your side, but I want you to know that my heart was always with you and as soon as midnight arrived I sent you a big hug with all the strength of my soul. I am very grateful that I have the love of a wonderful woman, a woman who is not only incredibly beautiful, but also has the most beautiful feelings in her heart, and that wonderful woman is you. Thank you for making this year has been one of the happiest of my life and for sharing so many moments that I will remember forever. A wonderful year is ahead of us, and it brings many opportunities for our love to get even stronger and for our happiness to be even bigger. 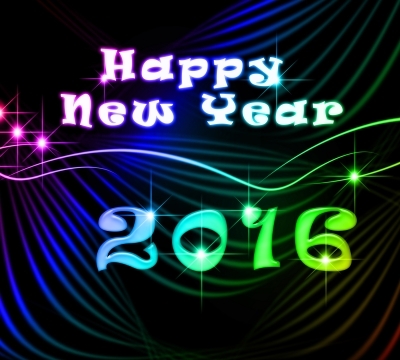 I wish you all the best for the year that is about to begin from the bottom of my heart. Another year is over and it could not have been any better as it brought me the love of the most wonderful woman of the face of the Earth. Thank you for all the beautiful moments we have shared, for all the sweet kissed you have given me and for all the smiles that cheered up our days. Because we are starting a New Year and because we have so many plans that we want to do together, I want to tell you that together we will be able to accomplish each and every one of them, that our love will grow stronger every day and that we have eternity to enjoy our relationship and our love for each other. Have no doubt that throughout this year I will be with you to support you at all times, to cry with you in times of sadness and laugh by your side in times of happiness; all of this because I love you with all the strength of my heart and I will love you for the rest of my life. I wish you a happy New Year and hope that health, prosperity and happiness are always present in your life over the 12 months to come. I has really been beautiful to welcome this year by your side, the prettiest woman of all, the great love of my life. I am very grateful to God for blessing my life by sending one of his angels to fill my life with happiness with her love. I never imagined that love could be such a beautiful feeling, but as of the very moment you came into my life you made me see the world differently and now feel like I have been reborn and I was a new and different man, a man willing to do anything in order to make you the happiest woman in the whole world. My love, we are beginning a new year and we have many goals that we want to accomplish, so I want to assure you that I will always be by your side in both good times and bad times, giving you my complete support, my comfort, my advice and above all, my unconditional love. I love you and I will love you for the rest of my life. With all my love, I wish you a prosperous and happy New Year. Wishing you all the best on the New Year, my beautiful princess! It is so beautiful to welcome a new year having the love of a very special woman like you, a woman who wins my heart all over again every day with her tenderness, her affection and above all her incredible love. This year has gone by quite quickly, but it has left us some beautiful memories that we will keep forever in our hearts and we will smile when remembering them. Truthfully, I can say that this has been the best year of my life, but in my heart I feel that this year that is about to begin will be even better, as we will be together at all times, celebrating together on good times and giving each other support on difficult times. My love for you is so big that I never imagined it could come out of my heart or that everything I did would be just to see you happy. I hope this year brings us much joy and many more opportunities to continue enjoying the great love that keeps us together. I want you to know that welcoming New Year’s Eve is a blessing from God and a wonderful opportunity for us to move on with our relationship, enjoying great happiness and the great love that unites us. I feel the happiest man in the planet because I have your love and I have also come to realize that my heart is filled with hope because I want us to have a beautiful future together full of happiness and love. You have become my biggest motivation to overcome any adversity and to fight for everything that we love so much, so you can be assured that my heart belongs to you and to you alone, the woman I will love for the rest of my life. It is time to party, not only to celebrate all the good things that the year that is coming to an end left us, but also to welcome the New Year and all the beautiful surprises it will bring along. I love you and with every day that goes by I feel that my love for you grows even more. Happy New Year, my princess. Never stop to smile at life and do not change that wonderful and free way of being of yours, it is your spirit. Remember that with any of these sample letters you will be able to express your best feelings to your partner in this New Year, so choose the one you like most and do not forget to make it your own so that it goes straight to the heart of your girlfriend. See you next time. If you liked this page you can help us by giving us a “like” on facebook, G+, twitter. Also if you want you can help this website by sending your New Year letters for girlfriend , and will be published, others friends will thank you .